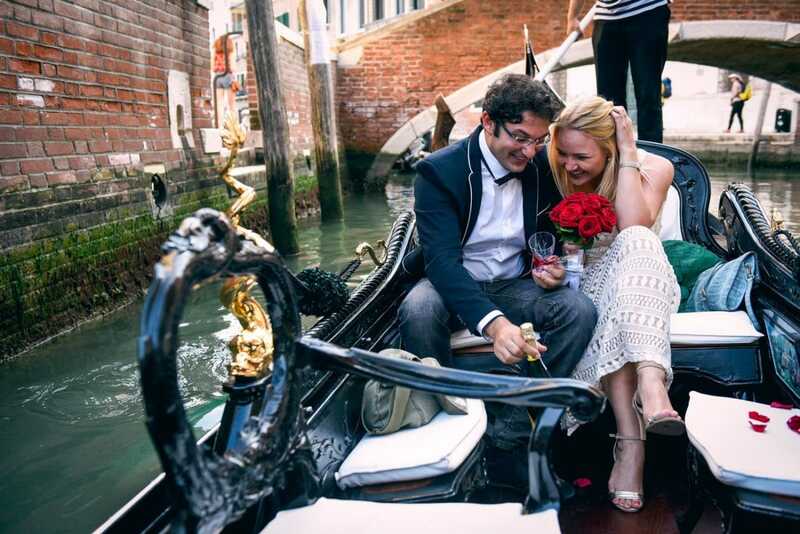 Marriage Proposal Venice – A surprise proposal on a gondola in Venice! 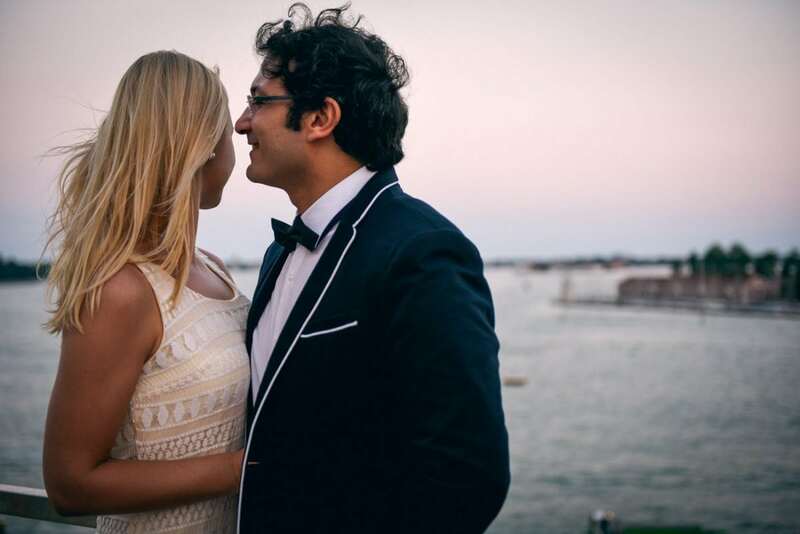 A super romantic wedding proposal for this couple from Dubai: Ahmed proposed his beautiful girlfriend Marina in the most peculiar way possible! 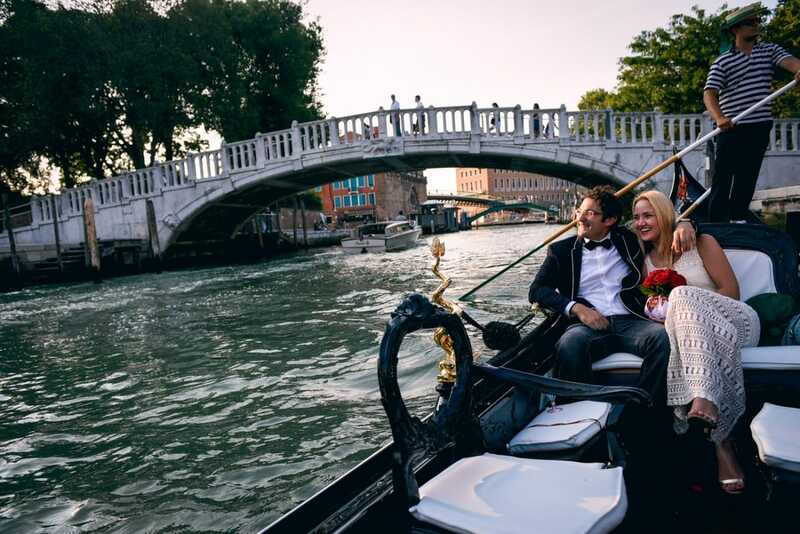 A gondola ride at sunset, a banner displayed on a bridge, a bouquet of red roses – what can be more romantic? 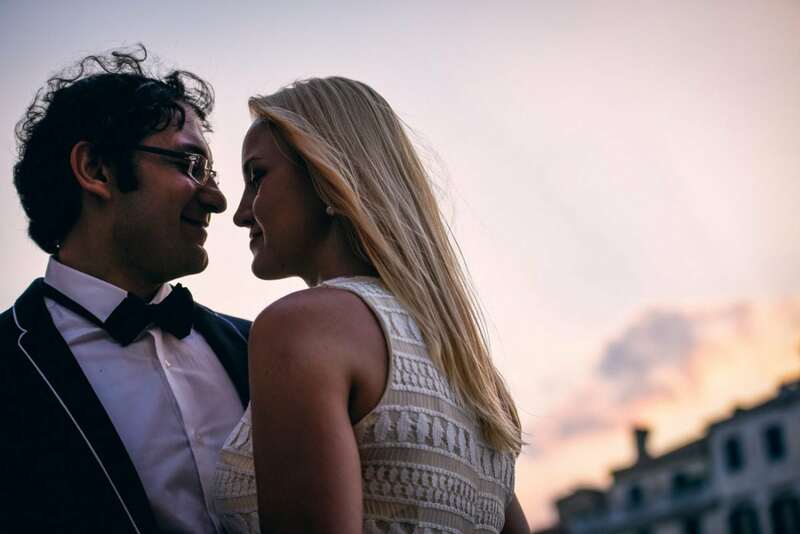 Ahmed and Marina are a beautiful couple from Dubai who had a vacation in Italy. 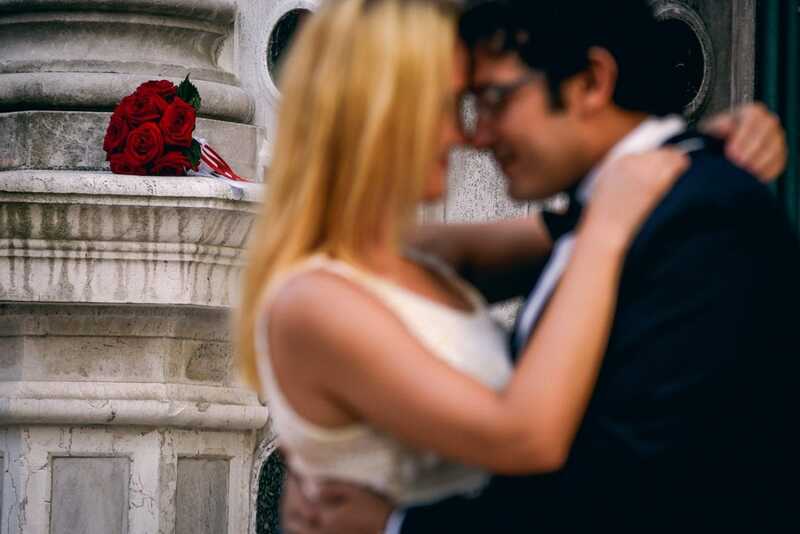 Ahmed had the ring ready for his beauty – he just needed the right moment! 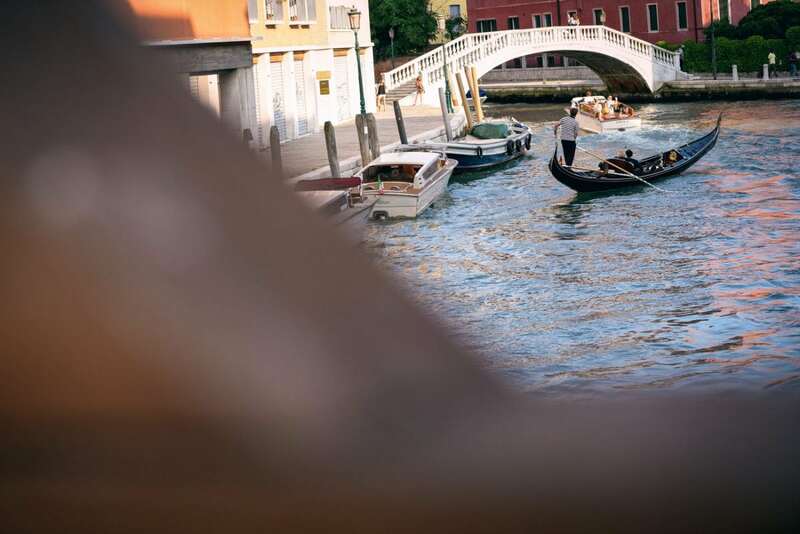 And the right moment was the gondola ride. 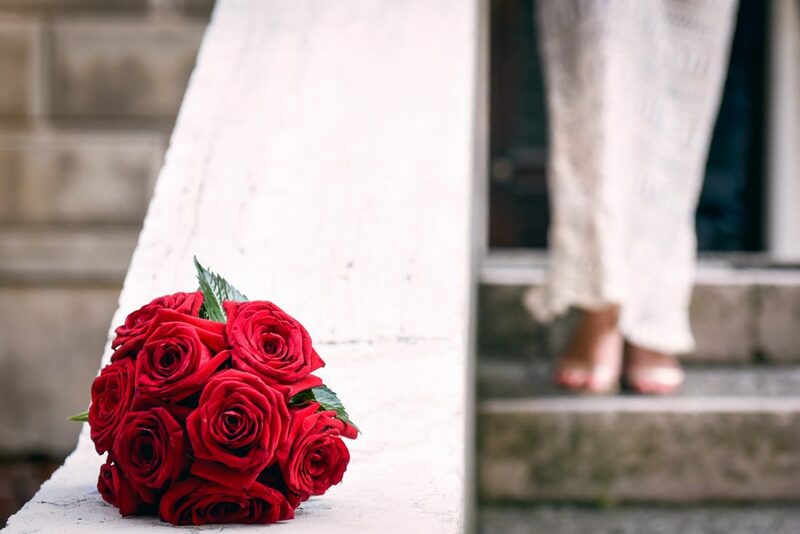 Cristiana had everything ready: a customized banner, red petals, a bouquet of red roses and a bottle of prosecco to enjoy this special moment at best! 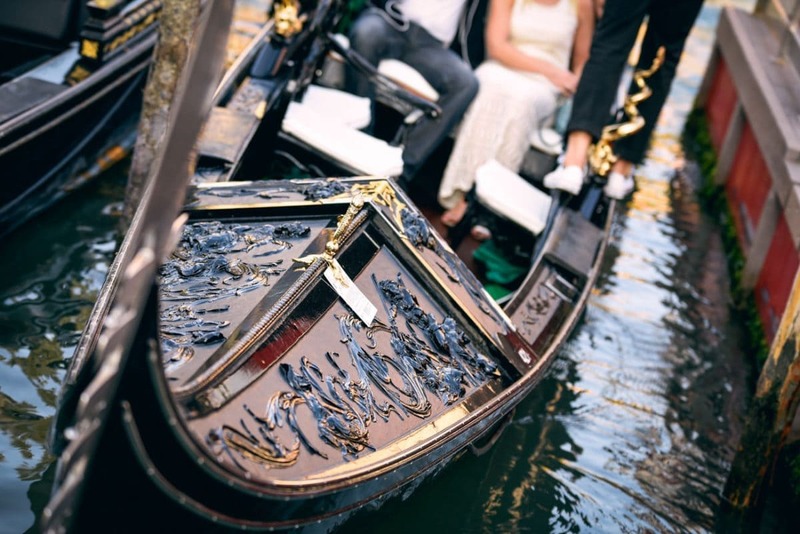 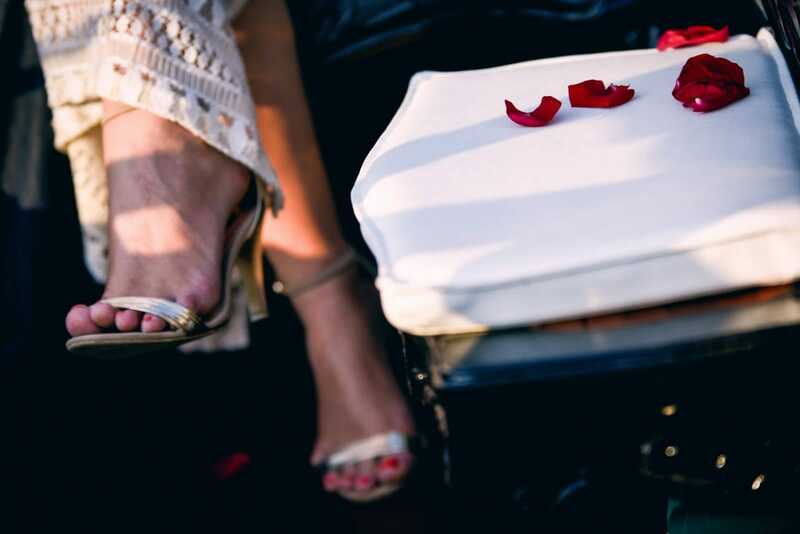 Planning a marriage proposal on a gondola is not easy, especially if the couple what the banner and a photograph to impress this amazing moment forever without the future bride to suspect everything… That’s why a wedding planner is needed: precisely, a proposal planner! 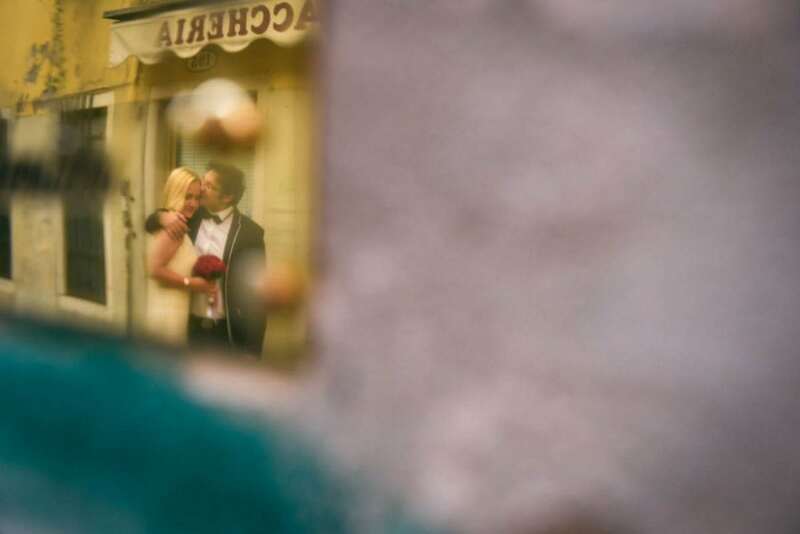 After the proposal, we had a couple shooting among the streets of Venice. 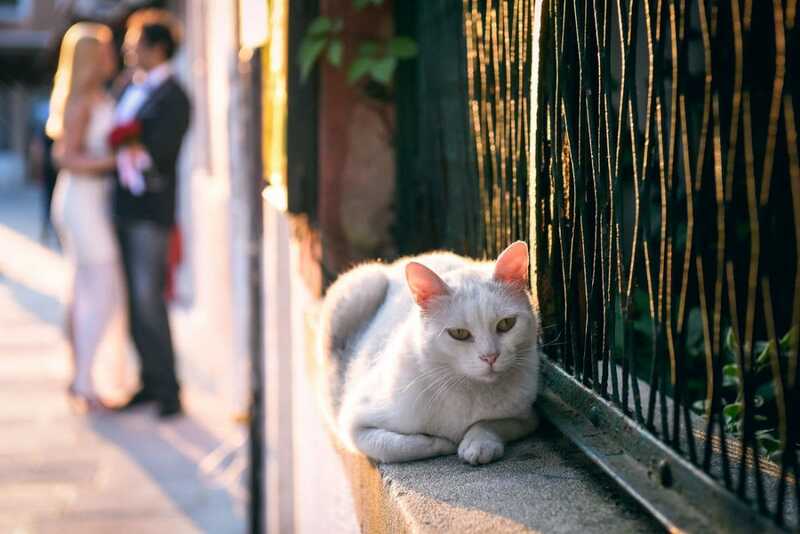 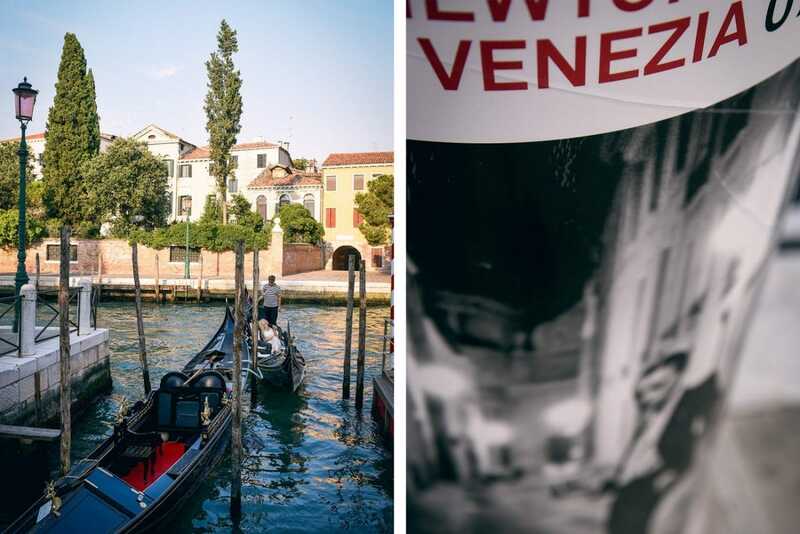 Venice is perfect for any seasons, but in early summer it is simply breath-taking! 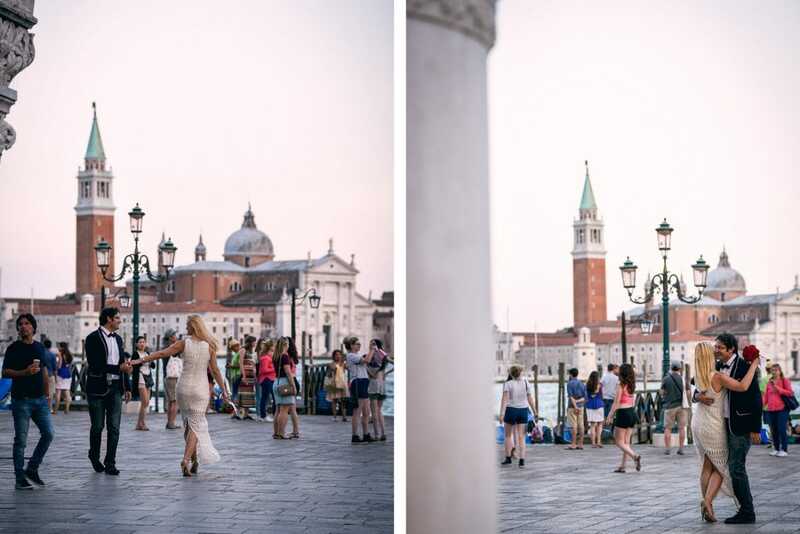 After having shot some photos walking towards San Marco, we walked this beautiful couple to the restaurant they booked for their first dinner engaged. 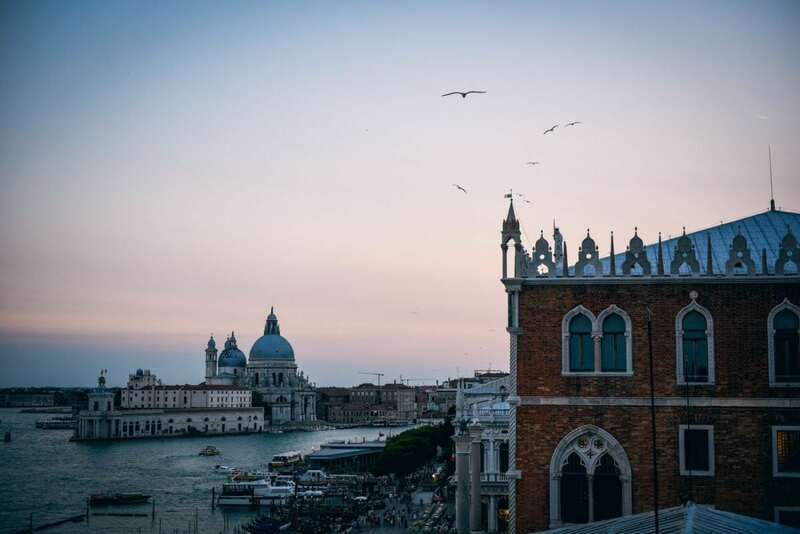 Not a usual restaurant, but the terrace of Hotel Danieli: the best view on the city!